Therman Trotman is a husband and father of 3. He’s been in the IT field for 16 years, he’s an Army veteran, a NYC native and a SharePoint developer. Therman feels that the number one key to growing your career is building relationships. Minio Cloud Storage — Built in Go for developers and devops. You have to build technology / solutions with real people in mind. They won’t use it if the UX isn’t a great fit for them. Good people will beat out bad technology. It’s not about the tools, it’s not about apps, it’s all about the people. Relationships — This is the stongetst of the 3. If you’re an introvert, stop caring about what people think about you, both professionally and personally. Detach yourself from how others feel about you. Allow others have their opinion. Look on the bright side of things. Intentionally choose the good. Don’t think too much, just try it. Are you a junior engineer or just starting your career in software development? I spent FAR too much time working too hard on things that didn't help me grow my career. 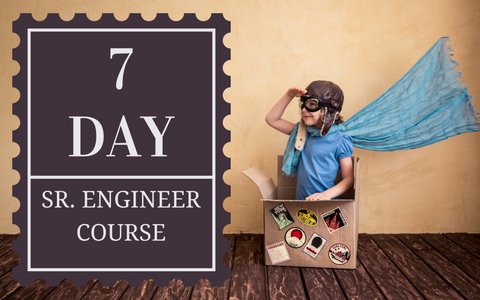 I created this 7-day email course to help you identify the biggest obstacles between you and that coveted Sr. Engineering position and what you can do to overcome them.